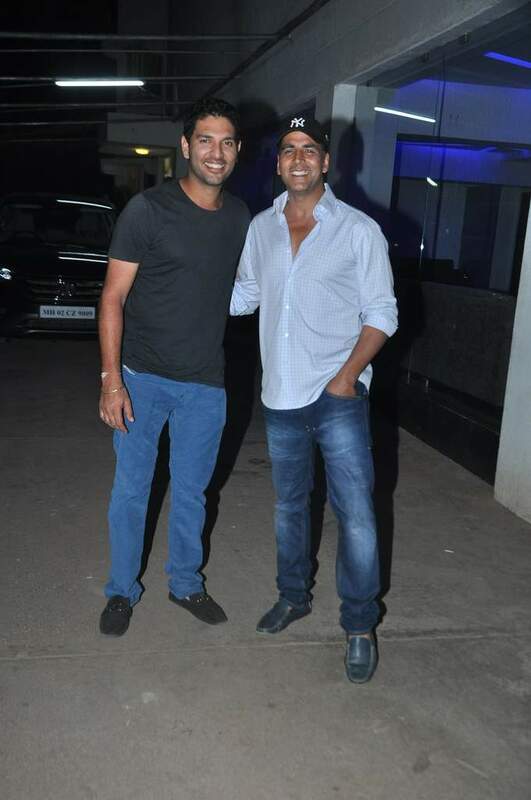 BollywoodGaram.com: Cricketer Yuvraj Singh and actor Akshay Kumar were spotted attending the screening of the Punjabi movie ‘Bhaji in Problem’. 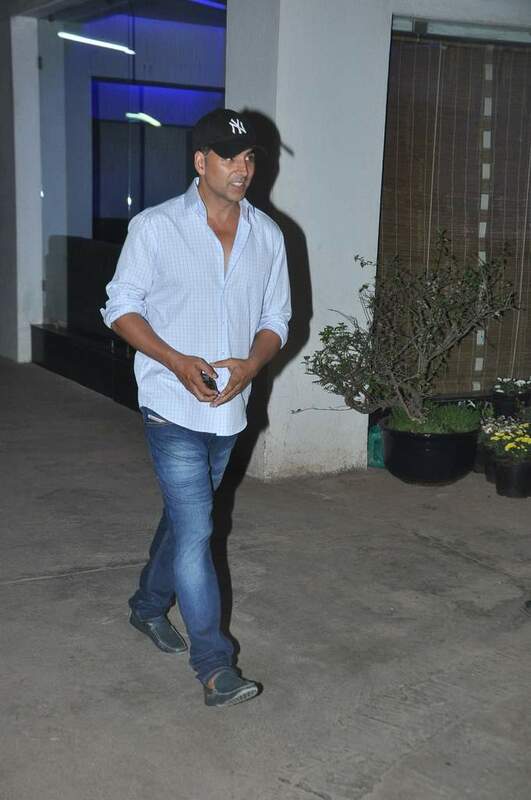 The movie is produced by Akshay and Ashvini Yardi and is directed by Smeep Kang. The movie follows a story of Sundeep Chema, who is married to two women and is facing a challenge of keeping both of them ignorant of the other’s existence. He finds a way to do so by telling each of them that he has to be away for business for half of the week. The movie is all set to be released on November 15, 2013 and it also features Om Puri and cricketer Harbhajan Singh.